A new research finding has revealed that obesity can create problems with the reproductive system in women with type 1 diabetes. Here are some other ways in which obesity can be dangerous for women. Obesity is dangerous to everybody’s health. But when it comes to women, obesity can lead to a host of health issues that are difficult and even life-threatening to deal with. An Australian research has found that women who are obese, particularly, women with type 1 diabetes (many of whom are obese), have a very high risk of developing reproductive problems. From cardiovascular diseases to diabetes and stroke to hypertension, obesity has been blamed for several diseases. But this new study shows how vulnerable obese women can be when it comes to their reproductive health. This obviously draws attention to how important the need to prevent obesity is and how weight loss is crucial to overall health. There are many other ways in which obesity can prove dangerous for women’s health. Here are some of them. Depression: In a shocking study it was found that while it is a known fact that obesity is dangerous for both sexes, obesity affects girls and boys differently. According to a study by the University of Cambridge in the UK, in women, the depression is more episodic and that it could be a result of the failure of obese women of meeting societal standards which don’t treat obese women favourably. Depression could likely be a result of the additional pressure on women to conform to societal norms of looking thin. Sexual dysfunction: In women, obesity is linked to sexual dysfunction because of hormonal imbalance. This could be a result of excess fat in the body which plays a role in inhibiting sexual desire or libido. Osteoporosis: Obese women could face problems when it comes to their bone health. An American study found that excessive abdominal fat could lead to problems like osteoporosis in women. Interestingly, the link was only found between abdominal fat and osteoporosis. Women with superficial fat, or the fat around the hips, were not found to be at significant risk of developing unhealthy bones. 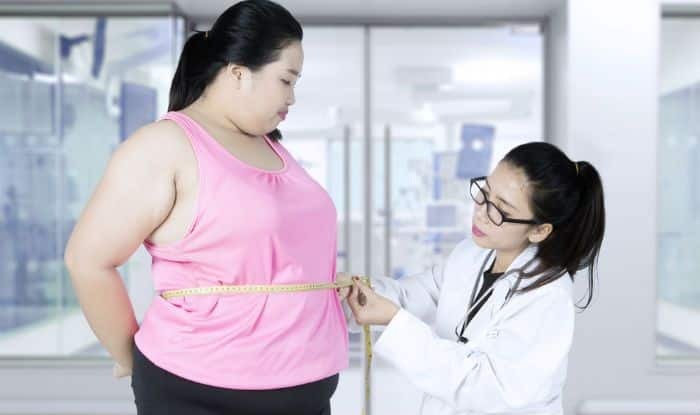 Colorectal cancer: A study has found that obese women below the age of 50 have up to twice the risk of developing colorectal cancer as compared to those with a normal body mass index. In fact, the study noted that a higher risk of early-onset colorectal cancer was closely linked to increasing BMI in even those among women with no family history of colorectal cancer. Breast cancer: A study in the European Journal of Cancer says that high body mass index (BMI) significantly increases the risk of post-menopausal breast cancer and can even worsen the outcome in those with a history of breast cancer. Another study said that obesity was associated with a 35% to 40% increased risk of breast cancer recurrence.